This is not a sponsored review. I did receive 3 tickets to Maker Faire Orlando to facilitate my review. However, all opinions are 100% my own and have not been influenced by these tickets. 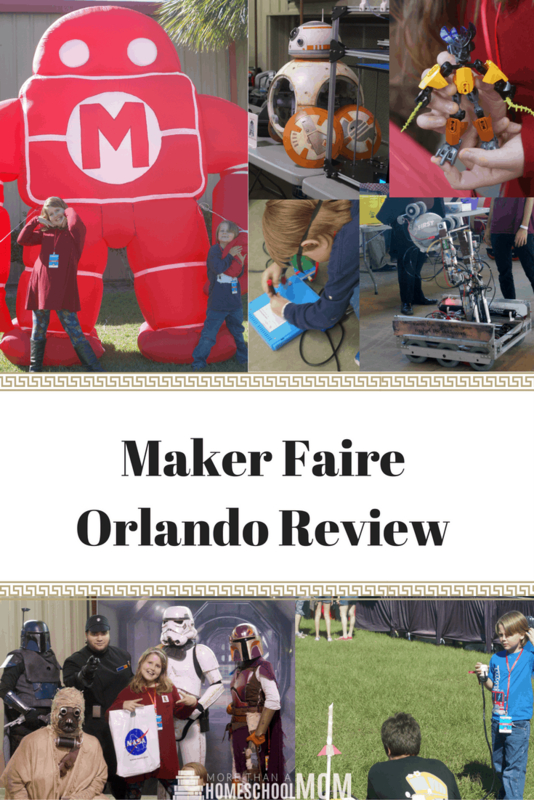 This past weekend the kids and I headed out to Maker Faire Orlando to check out all they had to offer and we were not disappointed. I was told this would be an incredible event but I had no idea what I was in for. I was told the event would be perfect for educators and learners. The website promised over 300 booths as well as robot battles, interactive exhibits, nerdy derby, power wheel races, and so much more. We had such an incredible time so I decided the easiest way to take you through the day would be to take you building by building by building. We started our day in the Curiosity building and I pretty sure C would have stayed there all day if R wouldn’t have wanted to move on. There was so much for him to get hands on with. R really enjoyed the Bionicles booth sponsored by Barnes and Noble. 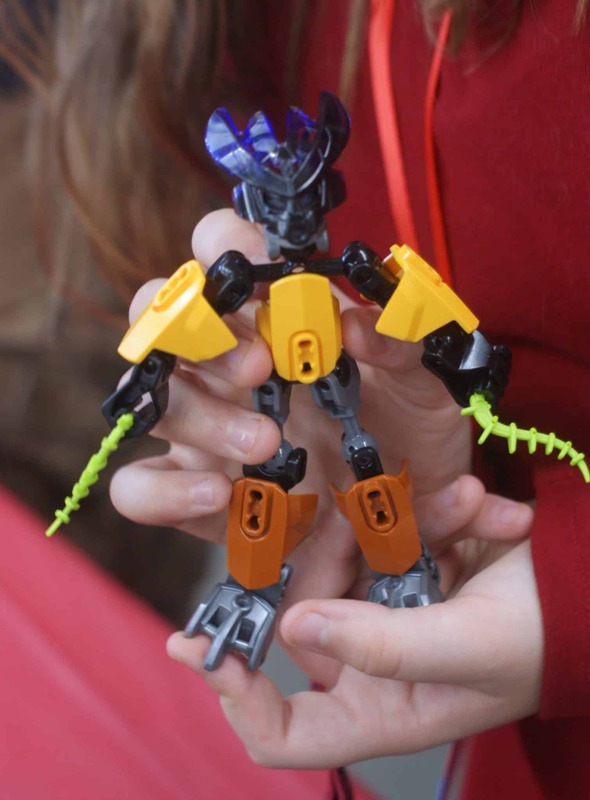 The table was covered in pieces for Bionicles and the children were encouraged to build their own Bionicle and take it with them. We spent a good 45 minutes at this table customizing their Bionicle. C would have spent all day with the Orlando Science Center. They had tons of old electronics for kids to take apart. 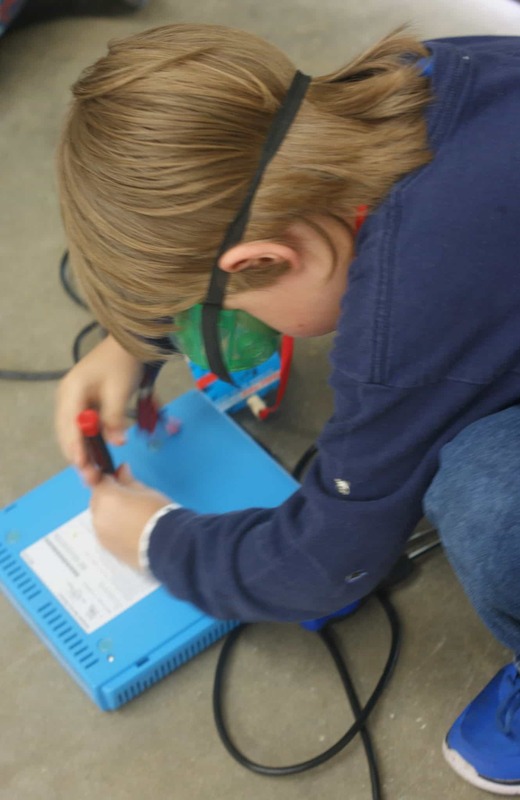 They equipped each kid with goggles and all the tools they needed to take apart their electronics. C already does this at home with things I pick up from the side of the road so he was very happy to have a place where he could do it with other people as well. The kids also had an absolute blast designing their cars for the Nerdy Derby. You will see more of that in the video I will include in the post a bit lower. Both kids were encouraged to pick up all the supplies they needed and build their own Derby car. After building their car they had the opportunity to race it. They took their cars back to the table where they were stripped down and used to rebuild for a new car for someone else. This was great for the kids because they were able to see recycling in action. There were some other really great exhibits but these were the ones that really held their attention. This building was INCREDIBLE!!! There was so much to see and experience. You will see more of the highlights in the video but here are some of the things that really stood out to us. 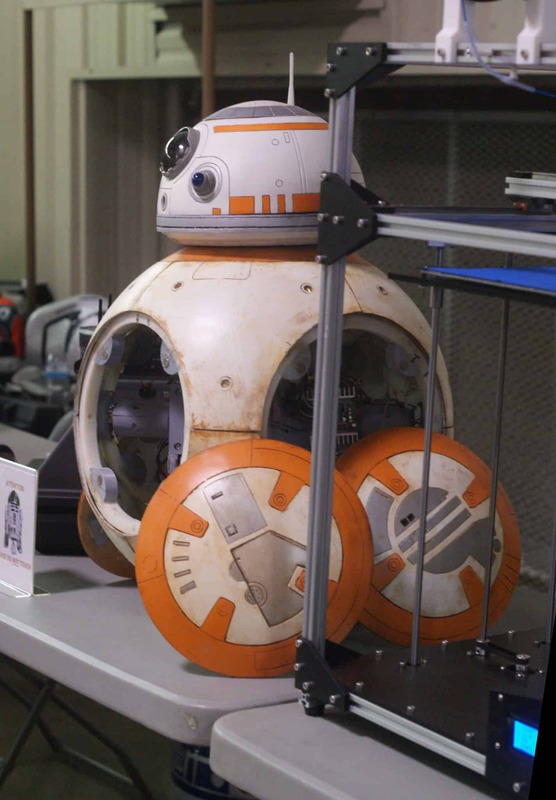 The Southern R2 Builders Group – Not only was it incredible to see R2D2 and BB8 at Maker Faire this year, it was pretty awesome to show the kids the design concepts that went into actually building them. I was able to stop with C and show him measurements and different components of each droid. 501st Legion – We LOVED spending time with the 501st Legion and talking more about their costuming and the work it took to design their different costume pieces. The kids were so excited to see them and learn a bit from them. Enabling the Future – This booth was one that really taught us a lot. They use 3D printing technology to make prosthetic hands for children. This is important because it is not generally covered by insurance and they can do it for a fraction of the cost. The woman at the booth explained to us that these 3D printed prosthetics help to promote muscle memory so that the child will be ready for their prosthetic when they are older. Kennedy Space Center – This had to be C’s favorite booth in the entire place. He loved the fact that he was able to talk to someone who actually worked for NASA! I see a trip to Kennedy Space Center in our very near future. Central Florida Steampunk Association – I could have spent most of the day at this booth talking leather working and steampunk history. It was so interesting to learn from them. 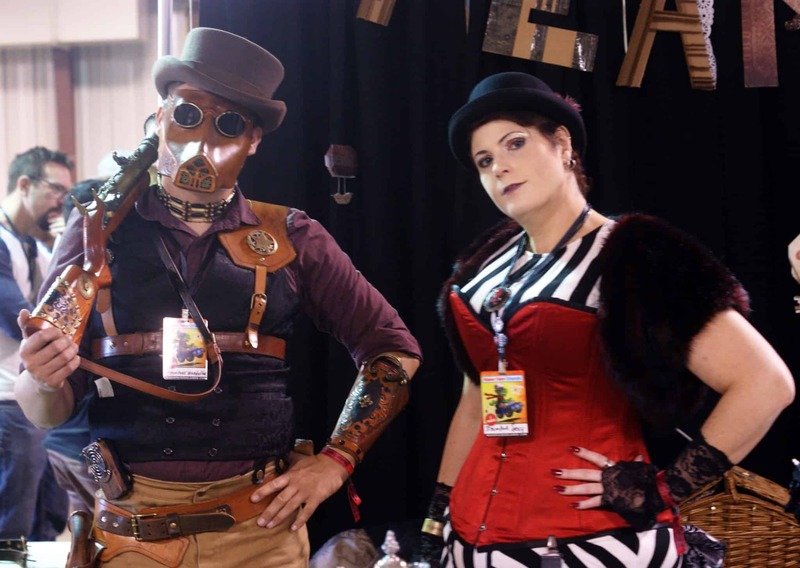 If you have an interest in steampunk and live in Central Florida, make sure to connect with them. 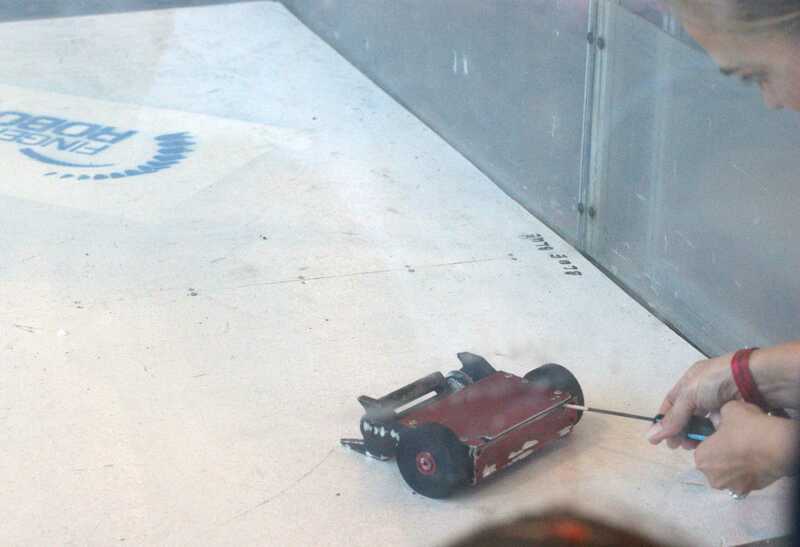 Robot Battles – We had a complete blast watching the smaller robots battle. We did not stay for the larger battles but they had so much fun watching the smaller ones. You can see a clip of one of the battles in the video below. Robot Catch – C had an absolute blast playing catch with the robot pictured above. You can see that in the video below. 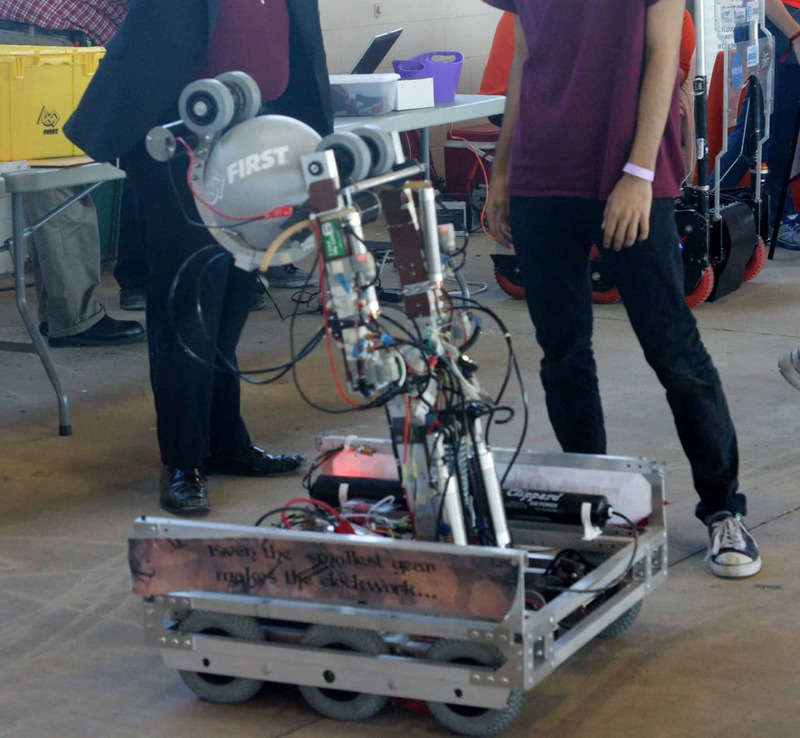 He found it so cool that a robot and not a person was throwing the ball to him. There was SO much more that was not featured in this post! I just couldn’t fit it all. Make sure to check out a Maker Faire in your area and get ready for Maker Faire Orlando next year! A variety of food choices are available for purchase. Complimentary tickets are available with proper identification for First Responders, Active Military and Veterans; Pre-registered groups from Title I schools; employees of schools, colleges and universities; and homeschool educators. From engineers to artists to scientists to crafters, Makers showcase hobbies, experiments and projects. Immerse yourself in Maker culture with exhibits, a performance stage, big art and spectacle. Hands-on making and learning by experimental people who make, play, tinker and hack will include robotics, cosplay, STEM & STEAM, craft, science, electronics, tools and crazy things you’ve never seen. ArcAttack brings musical tesla coils and a robot drummer to cover songs you know and love in the most electric fashion you have ever experienced. 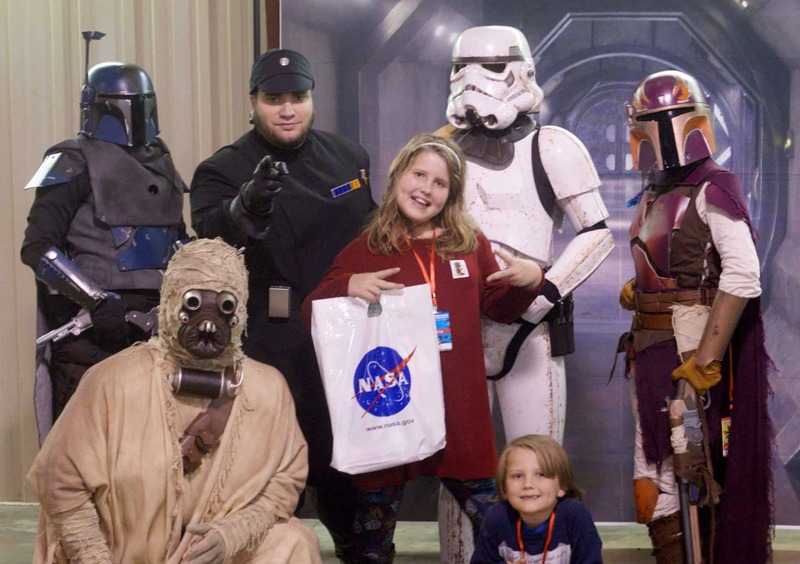 Maker Faire Orlando is a non-profit, community-organized, family-friendly celebration featuring local do-it-yourself science, art, rockets, robots, crafts, technology, music and hands-on activities. Maker Faire Orlando is produced by The Maker Effect Foundation and funded in part by Orange County Government through the Arts & Cultural Affairs Program. Ticket proceeds benefit The Maker Effect Foundation, a 501(c)(3) educational charity located in Orlando, Fla.